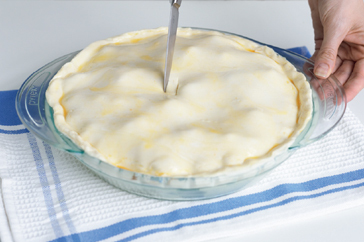 As the weather cools down, it's hard to beat a classic family-sized pie for dinner. Follow this step-by-step technique. 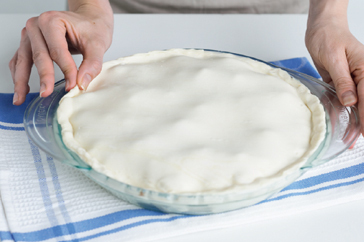 To make an extra-thick pie lid, place 1 pastry sheet on top of another. Roll out until large enough to cover the pie. Place on top of pie and trim excess. 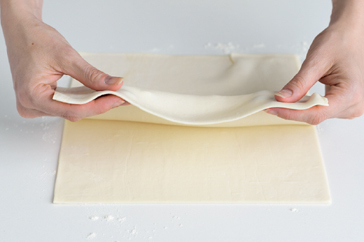 For a decorative edge, pinch the pastry with your thumb and forefinger. For a glossy finish, brush pie with egg. Cut small slits on top for steam to escape so the pastry doesn't go soggy.